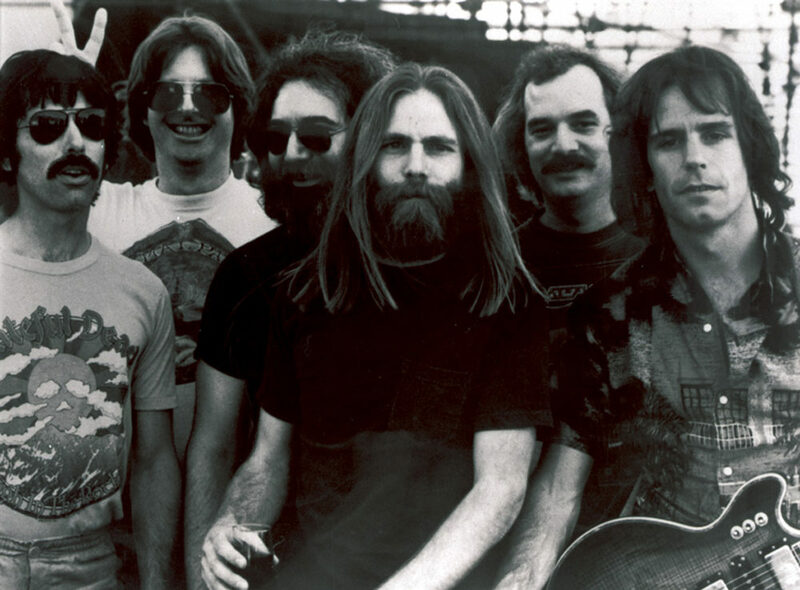 On New Year’s Eve of 1978, the Grateful Dead performed what has been arguably described as its greatest show ever. As balloons flooded the venue to celebrate the New Year, charismatic frontman Jerry Garcia effortlessly launched into “Sugar Magnolia,” igniting the crowd. Canonized as one of the band's most memorable moments, the musicians that night performed with an electric energy. But there was another unsung star on stage: Wolf, Garcia's beloved custom guitar. It’s been a long strange trip for Wolf since Garcia’s death more than 23 years ago. Since 2017, the famous guitar has been in the possession of die hard Deadhead Brian Halligan, the CEO of HubSpot, the Cambridge-based marketing and sales software company. Thanks to Halligan, who has allowed area musicians to use the instrument, Wolf is enjoying a second life in Boston. While some Dead purists see sharing Garcia’s guitar with others as blasphemous, it has delighted the likes of second generation Dead bands and fans of the San Francisco super group. Wolf was among the more than two dozen guitars that Garcia played throughout his career and left behind when he died on Aug. 9, 1995. It’s also the most singular — considered Garcia’s first-ever custom guitar and arguably his most beloved. The instrument was featured heavily in the 1977 “The Grateful Dead Movie” and was in Garcia’s hands in some of the band’s most notable and memorable concerts in the '70s. The guitar’s creator, Doug Irwin, first met Garcia at a music shop in San Francisco in 1972. Garcia was browsing the shop when a personal project Irwin was working on caught his eye. Garcia bought “Eagle,” named for the design on its headstock, on the spot for $850 and immediately asked Irwin if he’d make him another. Wolf made its live debut in 1973 at the Jerry Garcia and Merl Saunders’ Pirates Ball — a private party for the Hells Angels in New York City. It made its final Dead appearance at the Oakland Coliseum Arena in February of 1993. Initially, Irwin sold Wolf to Garcia for $1,500. When Garcia died in 1995, his will stated all of his guitars should go to Irwin, sparking a massive legal battle between Irwin and the Grateful Dead. 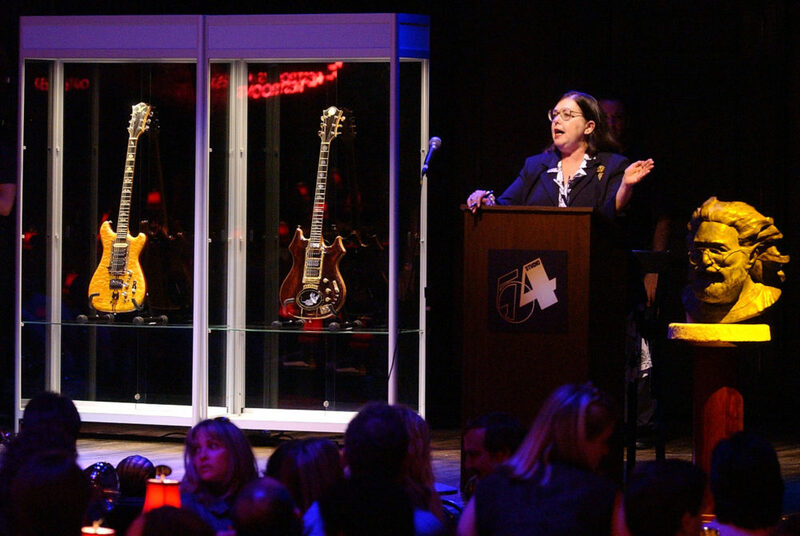 Eventually, Irwin was awarded Garcia’s guitars Wolf and Tiger, but sold both at auction in 2002 to philanthropist Daniel Pritzker for $790,000. 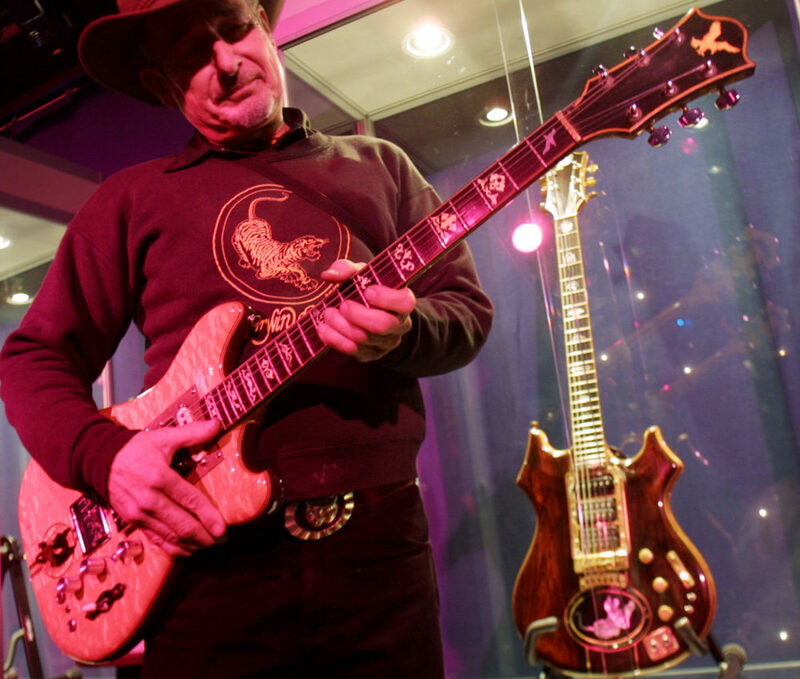 Just last year, Wolf sold to Halligan at a Guernsey’s auction benefiting the Southern Poverty Law Center for $1.9 million, making it the third most expensive guitar ever sold. Despite its rarity and price tag, Halligan doesn’t treat Wolf as a shrine too precious to handle. He’s allowed local musicians (even HubSpot employees) to play it on several occasions, including the local Grateful Dead cover band Bearly Dead when it packed into Thunder Road in Somerville to celebrate Garcia’s birthday on Aug. 1. “Without telling the band or anyone else, [Halligan] just showed up and allowed our guitarists Milt Reder and Nick Swift to play a few songs with it,” Bearly Dead guitarist Jeff Vetstein said. For Reder, it was a heavy moment, not only because of the history of the guitar, but because Wolf weighs approximately 11 pounds. “It speaks very clearly in terms of tone,” Reder said. “When you play a line, it’s very expressive without being shrill." According to Thomas Lieber, who worked closely with Irwin designing instruments for Garcia and Grateful Dead bassist Phil Lesh, Wolf broke the mold. When it was created, Wolf — neither a Fender nor a Gibson — was the first of its kind. Like many of Garcia’s guitars, Wolf was named for the sticker he placed on it, a cartoon wolf, just below the bridge of the instrument. Garcia returned the guitar to Irwin in 1975 for some minor repairs and a refinishing, and Lieber, then an apprentice to Irwin, was just about to peel the sticker off and toss it when Irwin stopped him.